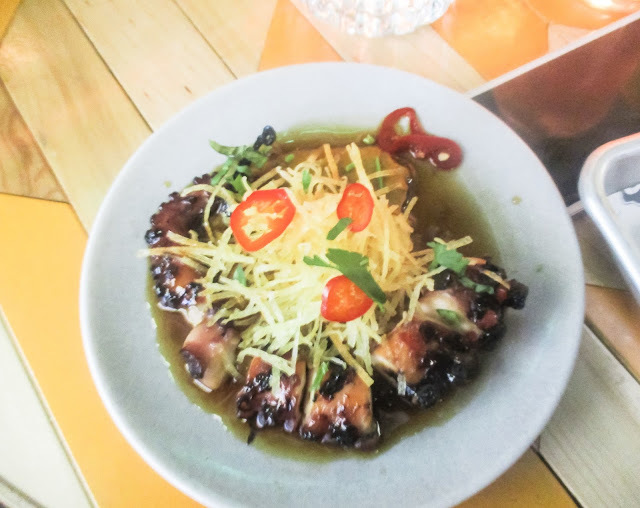 There is a brand new haunt which has arrived recently in Brixton. A few days ago I had a lovely meting with a few amazing ladies, we decided to meet somewhere nice and local where we can grab some good food and great drinks, what better place than Brixton! No place booked, not ideal but thought we could be adventurous have a mingle and see what takes our fancy. On route to meet the girlies I spotted a brand new restaurant/bar whilst driving down Acre Lane...Barrio Bars. BINGO. Perfect spot, plus I could kill two birds with one stone 1) Let you lovelies know about it 2) Meet with the girls and grab some tasty food. 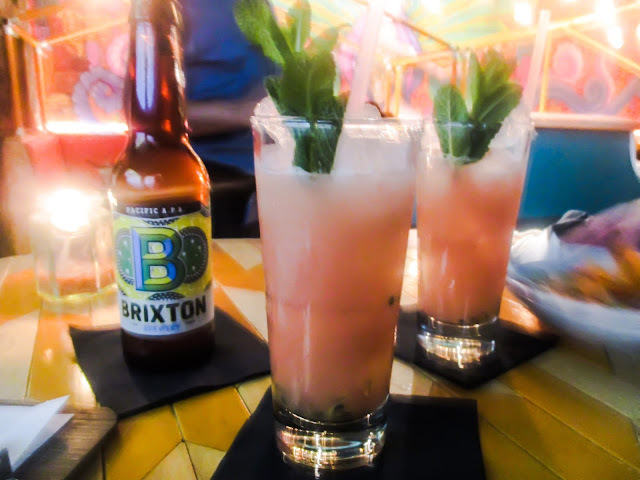 Brixton is great, it is upcoming, always buzzing and so many haunts to tickle the taste buds popping up all over the place and will be this summers place to be. 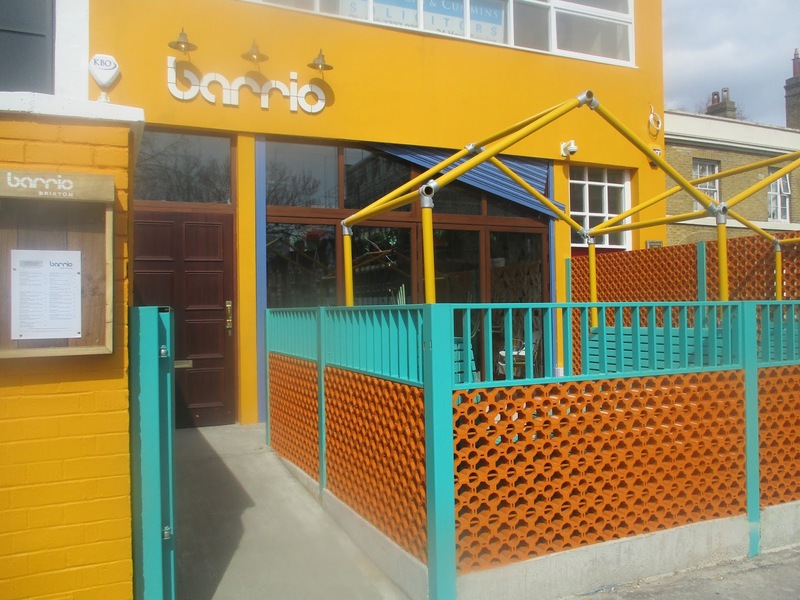 Barrio is super easy to spot, it is bursting with colour inside and out. On arrival the front has great seating outside, perfect for the warmer weather days and I am sure this is where you will be finding me from then on, cocktail in hand gossiping away. 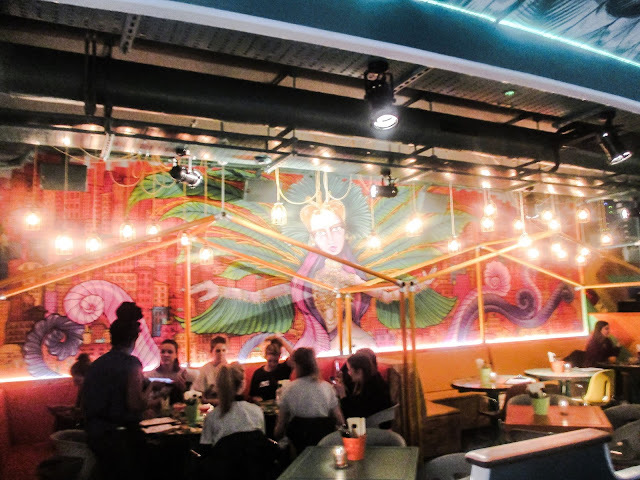 The decor is great and funky with an awesome mural inside, brilliant little cosy spots perfect for date night, or just a catch up with friends. 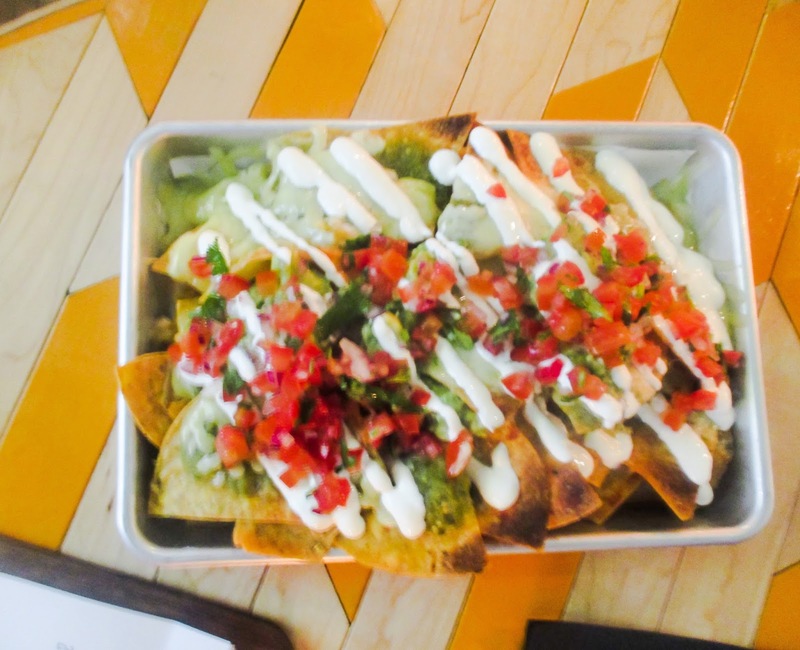 We had a look at the Peruvian-inspired menu, we were sold. 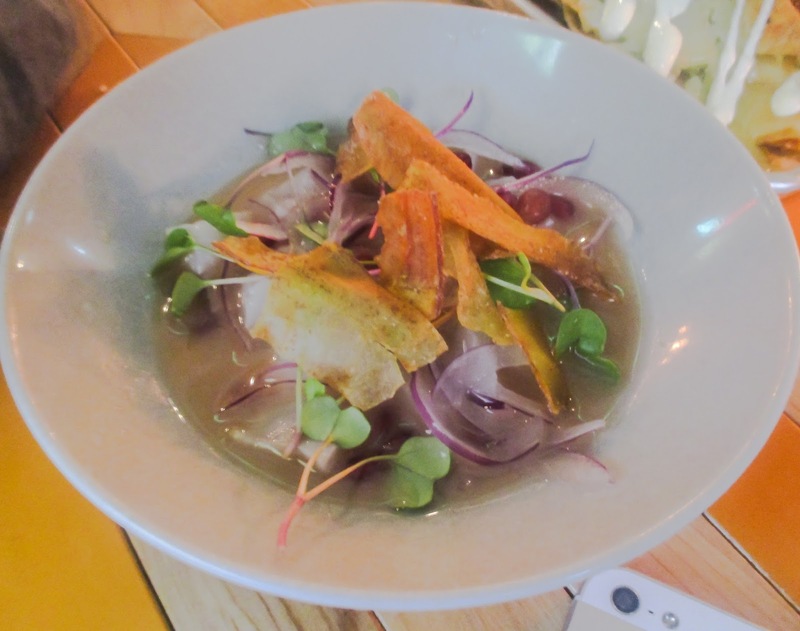 We are all major fans of Ceviche, it is one of my all time favourite dishes. Before ordering the lovely waitress walked us through the drinks menu, they have a great range of cocktails on offer, currently 2-4-1, but the only downside is, it must be two of the same cocktail, which was slightly annoying, but there were three of us, so it was not too bad. I went for the Che Guava, it was so nice and fresh and cut nicely through the food that we ordered and shared between us. Please note that the current cocktail menu will be changing it is just for the first month of opening, so once they've settled I shall certainly be venturing down to taste the new cocktail menu. Drinks ordered, lets get some yummy grub in. 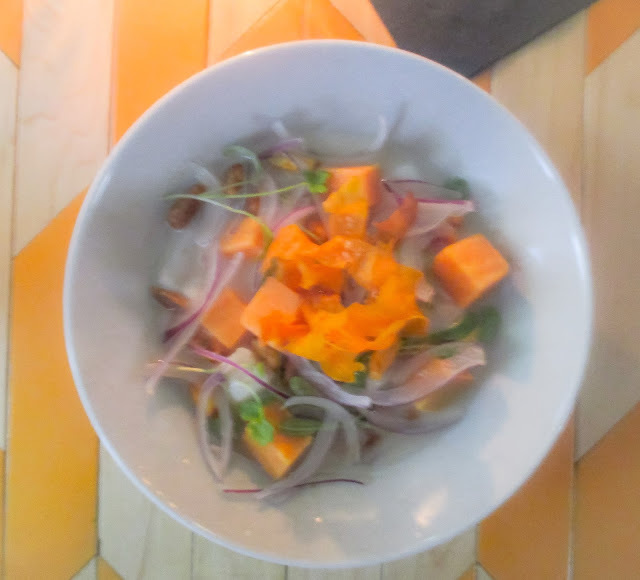 We started off with this ever so tasty Ceviche Blanco, it was divine, the butter milk which the Sea Bream sits in is heavenly. I am certain I heard angels singing at the first mouthful. 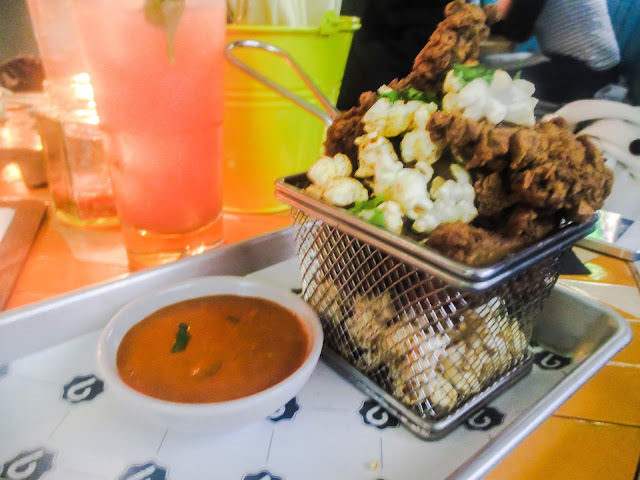 Nachos, more Ceviche and my favourite for the evening the Lima Lickin' Chicken, which consists of friend chicken & lemon popcorn served with the bad boy of all bad boy's sauce's, which is made up of god knows what as it is their secret recipe, whatever it is, it is freaking awesome. If I do not get a limited supply of it stat, I feel I may have to turn in to to Plankton from Spongebob Squarepants who is always trying to steal Mr Krabs secret formula and kidnapp the chef lol! Barrio has 4 locations around London, Brixton, Angel, Soho, Shoreditch, I certainly recommend that you try it. Only downside is, that they do not allow under 18s to enter and Brixton opens from 4pm, so unfortunately you can not bring your little ones. I certainly recommend on going down and checking it out, even if it is for a quick drink. However I have saved the best to last, they currently have an amazeballs offer on ALL FOOD, it is HALF PRICE, so get on down and check it out. Let me know what you think or if you have been to any other branch? !